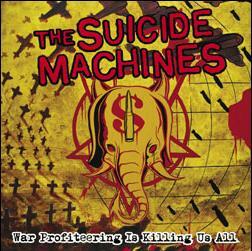 Finally picked up the Suicide Machines new CD called “War Profiteering Is Killing Us All”. The CD actually came out sometime in August, but I didn’t get it until recently. This CD rocks! Get it now! The Suicide Machines have been around for over 10 years now and have had their ups and downs. They are a ska-core type band. It’s kind of like a harder version of ska music. The first CD I got of theirs called “Destruction By Definition” is amazing – I still listen to it today. After that though they started going downhill. At one point they sounded like a cheesy emo band. They sucked and I completely lost track of them for several years. Well luckily I’ve been hearing good things about their neweset CD. So I went to their web site to check it out. I was amazed. They sounded fast and tough again; they sounded like their original CDs; they sounded like the Suicide Machines again. I suggest you go to their web site to listen to some of their new songs. I don’t know when these guys got political, but this new CD is extremely political – just look at the CD title. 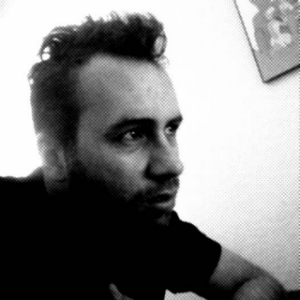 The lyrics touch on everything political, from war, to state-run media, to capitalists. Unfortunately, though this CD is less ska and more punk. But it’s all good. The music is fast, loud, and anger inducing :). For the few ska songs on here, they sound great and remind of songs from their Destruction By Definition CD. This is a awesome CD for any punk/ska fan out there. I’ve been listening to it non-stop since I got it. On a side note the Suicide Machines are playing here in Phoenix on Jan 27th with Pennywise and No Use for a Name at the Marquee Theatre. I’ll probably be there.